The QS World University Rankings® 2019, released today, features 76 top universities in the UK, including four in the global top 10. 18 universities have the distinction of appearing in the global top 100, and more institutions have risen in this year’s ranking than fallen, when compared to their performance last year. Read on to discover the 10 highest-ranked universities in the UK, or click here to view the full table. Up three places to rank 54th in the world in 2019, the University of Warwick is actually based in the outskirts of Coventry and is a member of the prestigious Russell Group of 24 research-intensive UK universities. Another Russell Group member, the University of Bristol is down slightly this year to 51st in the world but is nonetheless one of the country’s top 10. It was established in 1876 and has been associated with 13 Nobel Prize winners throughout its history. The social-science focused London School of Economics and Political Science (LSE) is placed 38th in the world in 2019 and gets scores in the global top 10 for two of the six indicators used to compile the rankings: employer reputation and percentage of international students. Staying in London, King’s College London is ranked 31st in the world and is particularly well-regarded for its medical education and research and is home to the oldest nursing school still in operation: the Florence Nightingale Faculty of Nursing and Midwifery (established in 1860). The University of Manchester is up five places this year to now rank 29th in the world and is in the global top 20 for its reputation among graduate employers. It also has the largest student community among these top UK universities, with 40,490 students, nearly 11,000 of whom are from outside the EU. Also up five spots this year is the University of Edinburgh, now ranked 18th in the world. One of Scotland’s ancient universities (founded in 1582), the university has graduated some major figures in UK history, such as Charles Darwin, Alexander Graham Bell and J.K. Rowling. UCL (University College London) is ranked 10th in the world in 2019 and is one of the largest and most diverse of the UK’s top universities, with a student population of 38,900, with almost 40 percent of these coming from outside the UK. Retaining its position of eighth in the world, Imperial College London is London’s highest-ranked institution this year, with a global reputation for the areas of science, engineering, business and medicine. It gets its best scores in the World University Rankings for its reputation among employers and percentage of international students. The University of Cambridge has swapped with rival Oxford to rank sixth in the world and second among the top UK universities in 2019. Founded in 1209 and made up of 31 constituent colleges, Cambridge has graduated the likes of Stephen Hawking, Isaac Newton, Emma Thompson and Stephen Fry. Number one among the top universities in the UK this year is the University of Oxford, which swapped places with arch-rival Cambridge to rank fifth in the world. Oxford has been helped up the ranking by its excellent reputation among both academics and employers and a very strong ratio of faculty members to students (seventh in the world). The oldest university in the English-speaking world, Oxford operates the world’s largest university press. Read about how Oxford and Cambridge compare here. University of Glasgow – ranked joint 69th in the world. Durham University – ranked 74th in the world. University of Sheffield – ranked joint 75th in the world. University of Birmingham – ranked joint 79th in the world. University of Nottingham – ranked 82nd in the world. University of Leeds – ranked joint 93rd in the world. University of Southampton – ranked 96th in the world. University of St Andrews – ranked 97th in the world. Queen Mary University of London (QMUL) – ranked 119th in the world. Lancaster University – ranked 131st in the world. University of York – ranked 134th in the world. 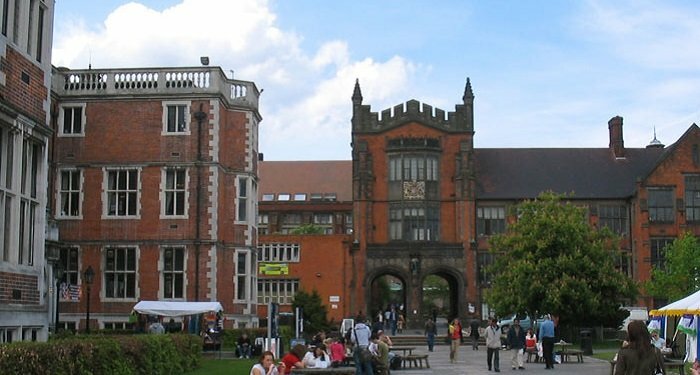 Newcastle University – ranked joint 141st in the world, up 20 places this year. Cardiff University – ranked 145th in the world. University of Liverpool – ranked joint 151st in the world, up 22 places. University of Exeter – ranked joint 154th in the world. University of Bath – ranked 158th in the world. University of Aberdeen – ranked joint 172nd in the world. Queen's University of Belfast – ranked joint 180th in the world, up 22 places. University of Reading – ranked joint 195th in the world. Loughborough University – ranked joint 218th in the world. University of Leicester – ranked joint 223rd in the world. University of Sussex – ranked 227th in the world. Royal Holloway University of London – ranked 236th in the world, up 23 places. University of Surrey – ranked 248th in the world. University of Strathclyde – ranked 268th in the world. University of East Anglia (UEA) – ranked joint 269th in the world. University of Dundee – ranked joint 272nd in the world. SOAS - School of Oriental and African Studies, University of London – ranked 288th in the world. Heriot-Watt University – ranked joint 302nd in the world. Birkbeck College, University of London – ranked joint 306th in the world. Brunel University – ranked joint 332nd in the world. City University London – ranked 351st in the world. =43. University of Essex – ranked joint 355th in the world. =43. University of Kent – ranked joint 355th in the world. Oxford Brookes University – ranked joint 363rd in the world. Aston University – ranked joint 381st in the world. Goldsmiths, University of London – ranked 396th in the world. University of Stirling – ranked joint 417th in the world. Aberystwyth University – ranked joint 432nd in the world (up from 481-490). =50. Bangor University – ranked joint 435th in the world. =50. Swansea University – ranked joint 435th in the world. Universities in the same range as others are considered to be in joint place. Find out more here. Coventry University – ranked 571-580 in the world. =53. Kingston University, London – ranked 591-600 in the world. =53. University of Bradford – ranked 591-600 in the world. =53. 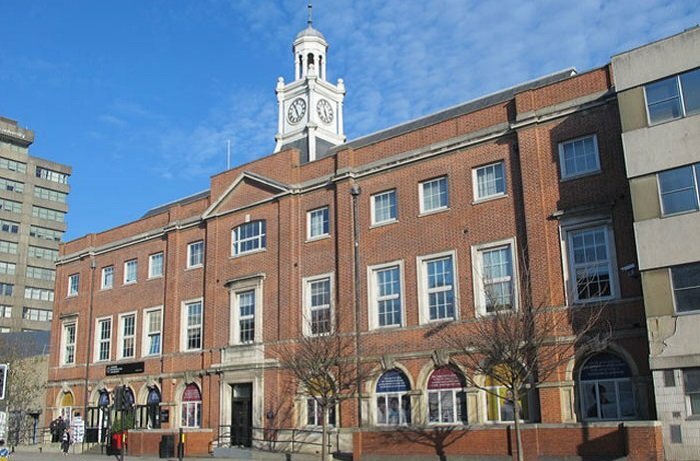 University of Hull – ranked 591-600 in the world. =56. University of Plymouth – up from 701-750. =61. University of East London – up from 801-1000. =61. University of Greenwich – up from 801-1000.
they need Programmers for their Software Services firms. The people Teaching - Only want their Own Children to Know and get the Jobs - So they teach it in a rushed Fashion. Different Publications - Rank the Universities Differently. Guess who Pays them the Most. Most British Universities can Teach Computing / Programming. That's because you can walk into Waterstones and find a Book on Java Programming. As for Electronics, most British Universities teach worthless crap. If you want to know how to put a Circuit Together you need to go to Berkley, California. Hello, I can assure you that absolutely no university has ever been, or will ever be, able to pay for a higher rank by QS.